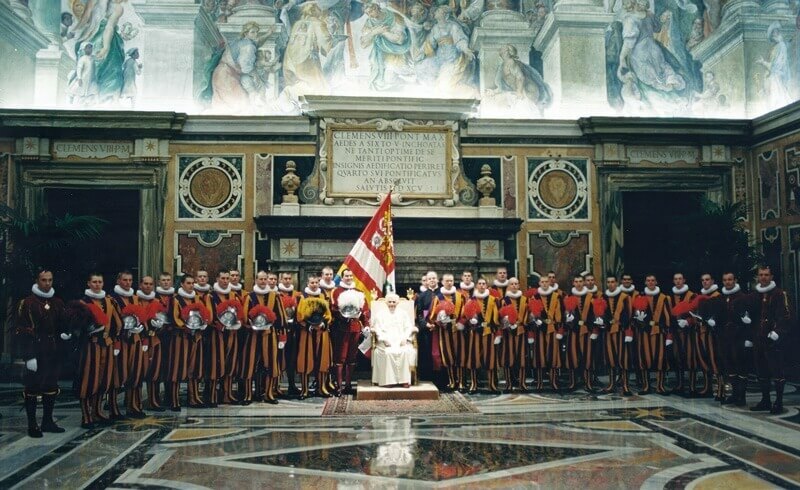 The last mercenary troops of Switzerland, the Pontifical Swiss guards, have a long-standing service to the Vatican. Along side their Italian soldiers cales the Vatican's Corps of Gendarmes, the Swiss soldiers' are in charge of protecting the Pope. Tourists and pilgrims who flock to Rome see these colorful men and wonder: Who really are the Swiss guards? 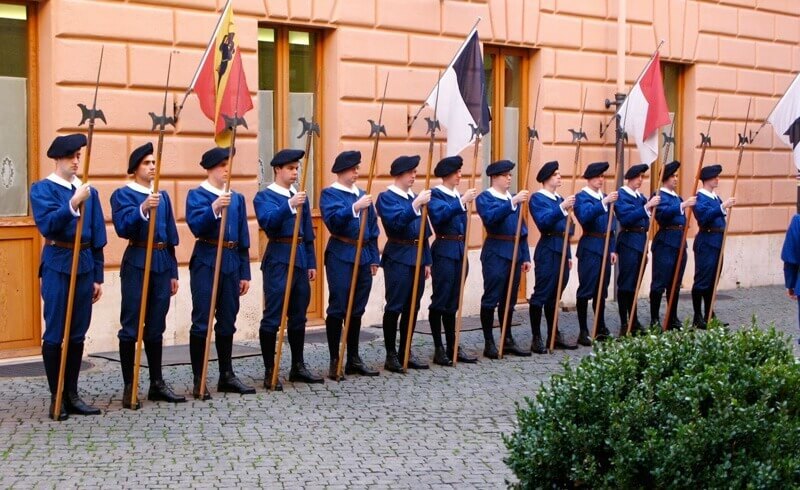 Before applying for the Pontifical Swiss guards, each recruit must be a single male of Swiss citizenship standing at least 174 cm (5’ 8 “) tall, between ages 19 and 30, and also holding a high school degree or professional diploma. Each recruit must be a faithful Roman Catholic as endorsed by his hometown’s Parish Priest. 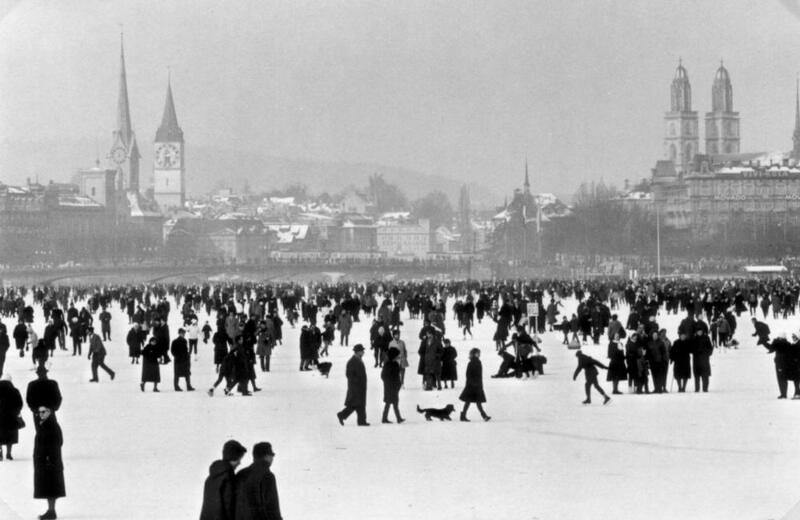 Each recruit must have completed basic military training in Switzerland in order to continue to the first five weeks of training with the guards in Rome. After this training period, the Swiss soldiers are known as Halberdiers, owing to their halberds, the primary weapons the Swiss mercenaries used in the 14th and 15th century. After being sworn in, the Halberdiers and their parents get a private audience with the Pope where they receive a personal blessing. A Swiss guard's shortest contract is 25 months. Once a Halberdier starts his contract, he will attend Italian lessons if he does not already speak the language. By the end of the first year of service, the Halberdier is usually ready for guard duty at the main gates of Vatican City, dealing with everyday tourists (and often VIP guests, too!). The everyday uniform of the Swiss Guard is the blue duty uniform. Each Gala Uniform is sown by the tailors inside the Vatican barracks - tailor-made to fit each guard. This process takes at least 30 hours per uniform! After completing their service, all of the guards' personal uniforms are destroyed, never to be used again. Some of the armor that are used today are originals from the 15th century. New armor is made by specialized blacksmiths to replace ones that can no longer be renewed. The morion helmet, worn with dyed ostrich feathers, holds the family sigil of Pope Julius II, the oak tree. When a Swiss guard is standing still with the halberd and is not talking, he is on Honor Duty. This means that he should not be approached. But when a Swiss Guard is standing with folded hands and facing the people, he is on Guard Duty. 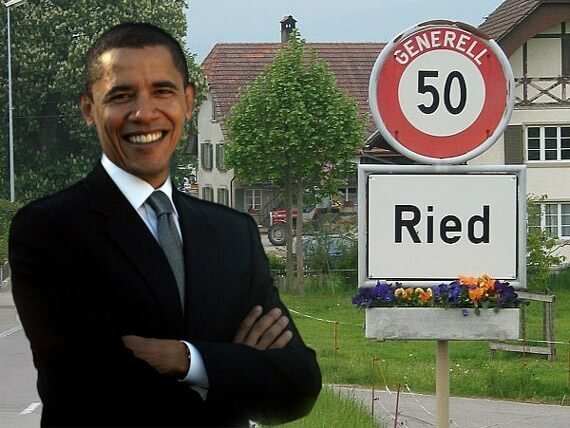 This means that he may be approached for questions or sometimes for pictures (if you ask nicely). Got your facts straight, but are still curious? 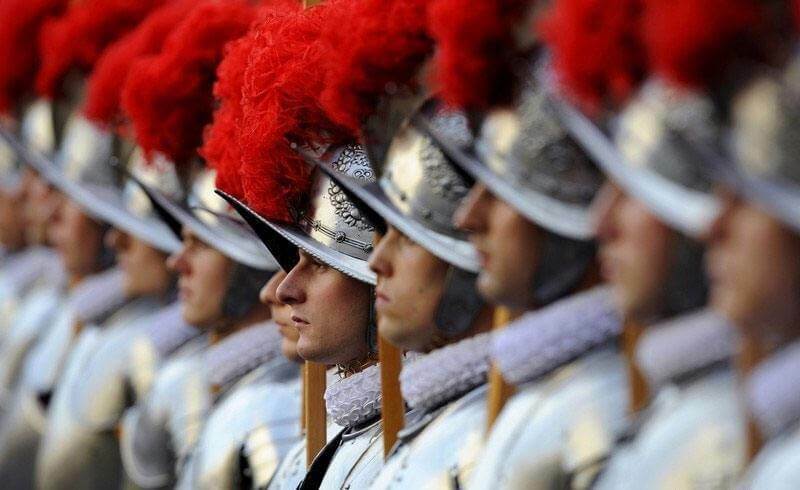 Read here why May 6 is a Swiss Celebration in Rome, or check out 8 more facts about the Swiss guards.